Since its foundation, EPE S.A. has developed the Cathodic Protection Activity and materialized up to today numerous projects. EPE is considered to be one of the main specialized suppliers of Sacrificial Anodes and ICCP internationally, with applications to sub sea infrastructures, shore and land structures, underground pipelines, wind farms, jetties, ships, yachts. EPE designs and manufactures its products under registered trademark POLCOR. 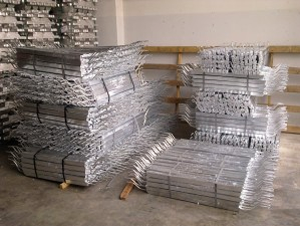 The zinc and aluminium sacrificial anodes are produced in the company’s factory. The production of anodes complies with the highest internationally approved standards of quality and safety. The factory operates in ISO 9001:2008, OHSAS 18001:2007 and ISO 14001:2004. EPE’s production capacity is 10.000 tons annually. The company operates fully equipped laboratory which analyzes on a 24 hr basis the chemical elements with a high definition spectrograph and modern facilities for the electrochemical testing for endurance in warm and cold seas. This electrochemical control examines the performance of alloys and products per batch, in accordance with internationally approved standards. We also produce any specification upon request. The chemical composition of aluminum anodes is based in the well-established Al-Zn-In and it is suitable for most sea water applications. Their electrochemical capacity is more than 3 times greater than the capacity of zinc and it is nowadays the most widely used alloy for the cathodic protection of ships and other marine metallic structures. 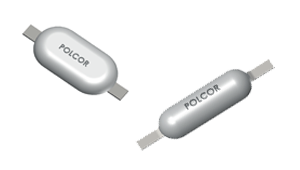 POLCOR’s pre-casting quality secures the concentration of all important elements (either impurities or allying elements), even in very low concentrations, in order to strictly conform to the specification. The Zinc alloy type is the well-established formulation based on US MIL – A – 18001K specification. It is suitable for general seawater applications. Its low electrochemical capacity makes it suitable for coated structures were the current demand is significantly seduced. We provide Antifouling spare electrodes (Copper-Aluminum, Copper-Iron) as per your requirements for any kind of Impressed Current Antifouling System you may have on board. Our flexible production line ensures very cost efficient rates in addition to our quality control system that guarantees reliable operation of POLCOR spare antifouling electrodes.